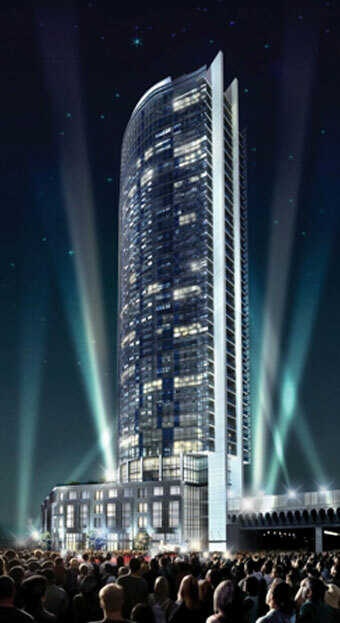 L Tower 8 The Esplanade – Sony Centre Plaza Update – December update. 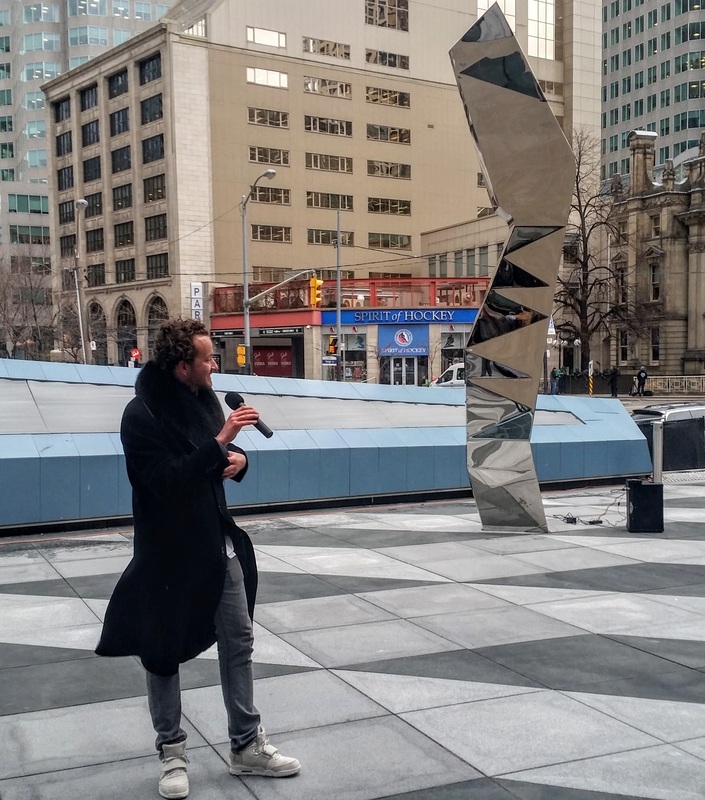 On December 8th the major new public art installation in the Sony Centre Plaza was revealed: Triptych Dream Ballet by Toronto artist Harley Valentine is now fully revealed. 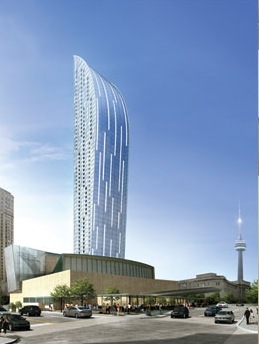 Dream Ballet is the centrepiece of the Claude Cormier + Associés designed plaza. 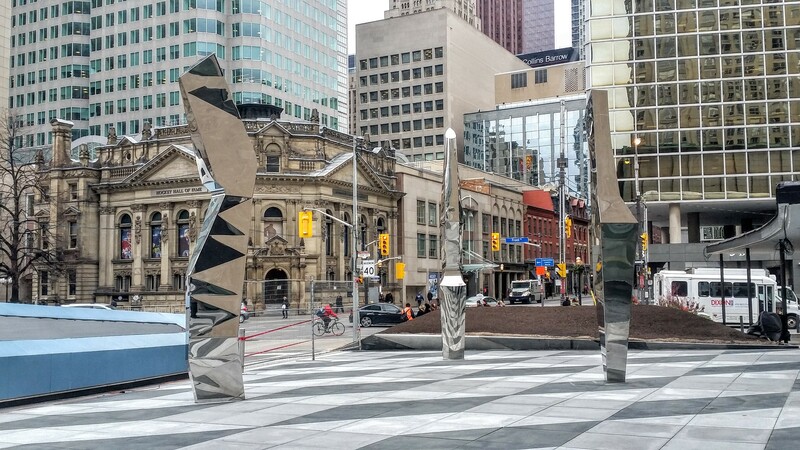 As with the adjacent redesigned Bercy Park (also by Claude Cormier), some finishing and landscaping work remains to be complete before the Plaza is “finished” but the artwork is easily viewable by all as the new gateway to the St. Lawrence Market neighbourhood and Old Town Toronto. Dream Ballet Triptych by Harley Valentine, in the Claude Cormier designed Sony Centre Plaza. The reveal event on December 8th featured remarks from Alfredo Romano, President of Castlepoint Numa, artist Harley Valentine, and Rex Harrington, former Principal Dancer of the National Ballet who performed for many years at the Sony Centre. Attendees included Suzanne Kavanagh, President of the St. Lawrence Neighbourhood Association, and Al Smith, Executive Director, of the St. Lawrence Market Neighbourhood BIA. 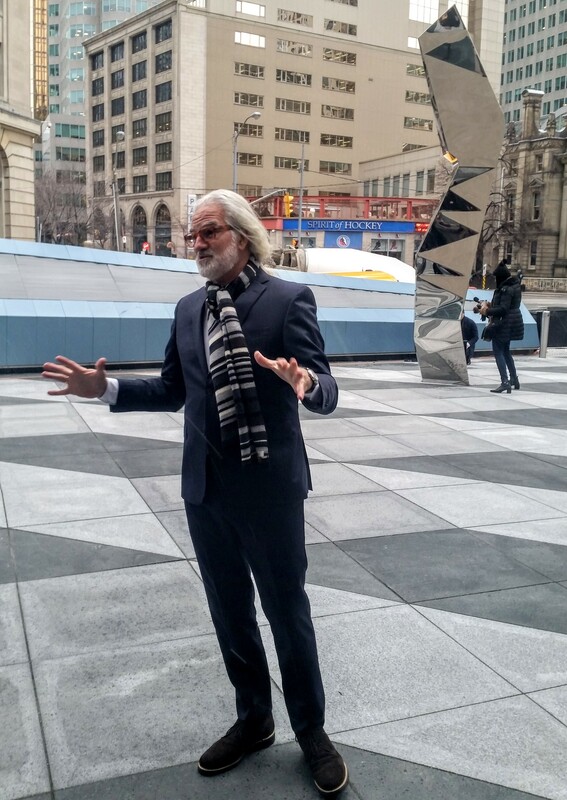 Alfredo Romano, President of Castlepoint Numa, speaking at the Dream Ballet Triptych “reveal” on December 8. Artist Harley Valentine speaking at the Dream Ballet Triptych “reveal” on December 8. 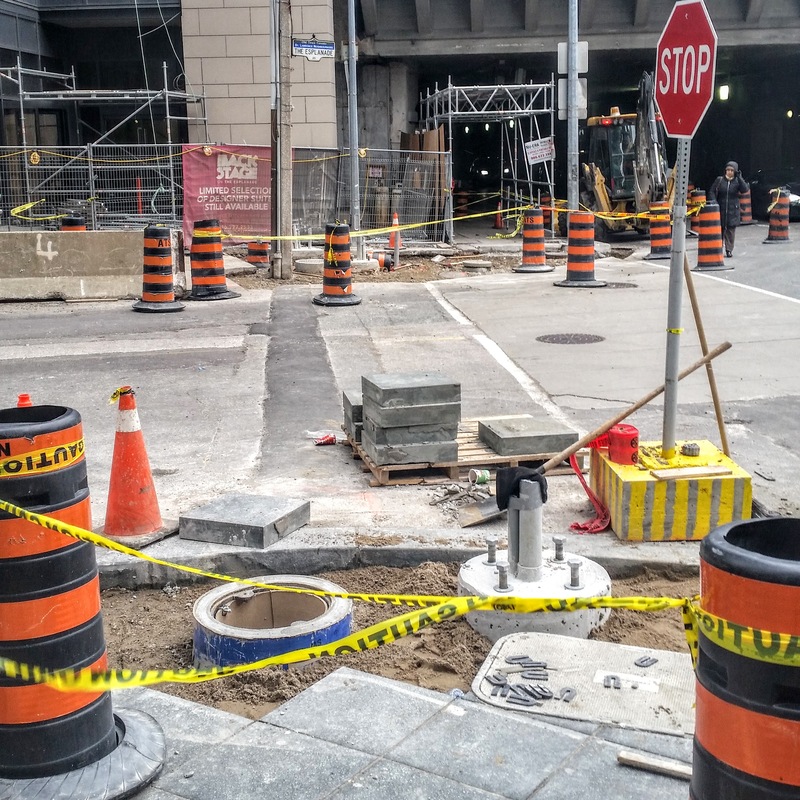 City contractors are at work on installing footings for new traffic lights and street lights at the corner of Yonge and The Esplanade. They are also taking the concrete median apart that divides Yonge Street. This work is preparation for the new controlled pedestrian crossing at The Esplanade, which was one of the public realm deliverables of the L Tower redevelopment. City contractors installing the footings for new traffic lights at The Esplanade and Yonge Street.